The stashR package (a Set of Tools for Administering Shared Repositories) for R implements a basic versioned key-value style database where character string keys are associated with data values. Using the S4 classes ‘localDB’ and ‘remoteDB’, and associated methods, versioned key-value databases can be either created locally on the user’s computer or accessed remotely via the Internet. 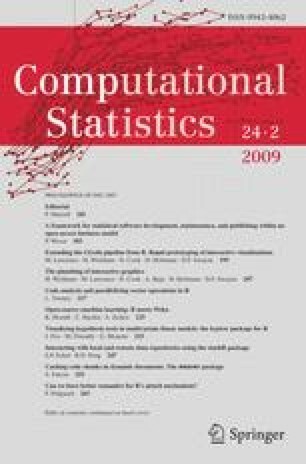 The stashR package can enhance reproducible research by providing a ‘localDB’ database format for the caching of computations which can subsequently be stored on the Internet. To reproduce a particular computation, a reader can access the ‘remoteDB’ database and obtain the associated R objects. This work was supported in part by the Johns Hopkins Training Program in the Epidemiology and Biostatistics of Aging (NIA T32 AG00247) and the Faculty Innovation Fund, Johns Hopkins Bloomberg School of Public Health.